Offering a combined 150 years of HVAC and plumbing experience, GRP’s Service & Building Solutions team has the knowledge and skills to provide preventative maintenance and ongoing service for industrial and commercial building systems to keep them operating at their best. While other service companies address symptoms, GRP looks at the big picture, solving problems, and offering preventative care. Our goal is to help you evaluate the payback for any system enhancements and help determine the most cost-effective solution for both short and long-term use. Tenant Finish Work: Reworking the existing HVAC system to accommodate new or expanded floor plans. Equipment Replacements: Replacing any aged equipment to ensure continued reliability of service and increased efficiencies. Building Expansions: Developing smaller additions to existing facilities. Retrofits: Wholesale or partial replacement of existing systems with equipment of different design or capacity. 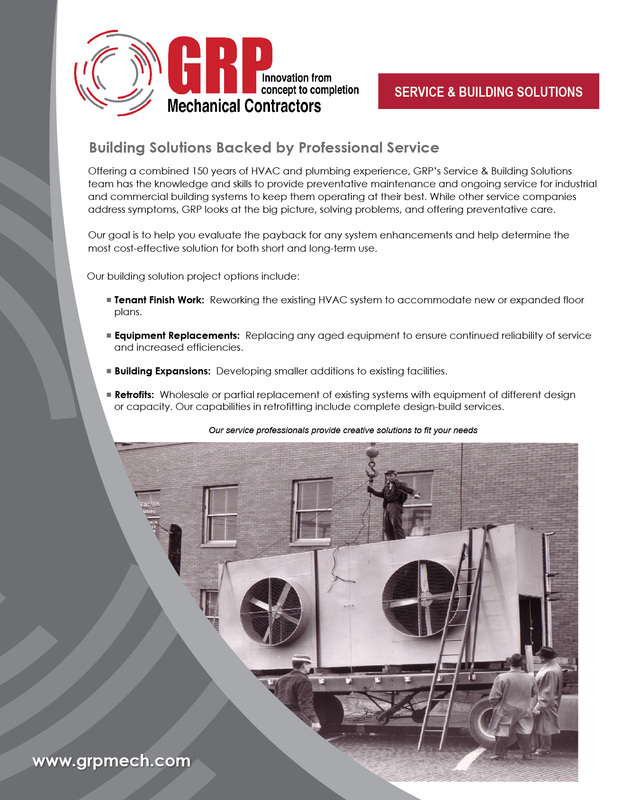 Our capabilities in retrofitting include complete design-build services. Ready to Serve Whenever and Wherever the Need May Be. 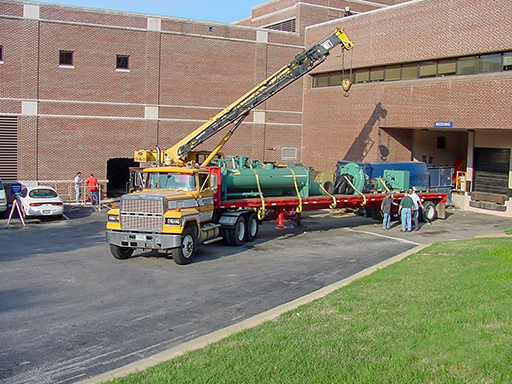 Our ever-expanding staff of professionally trained service technicians are licensed and certified to work on both sides of the river in the St. Louis area – serving municipalities in the greater Metro East area of Illinois and in neighboring Missouri. We are available 24 hours a day, 7 days a week and 365 days a year, always on call for emergency service.